In SURVIVING HOME, Morgan Carter has finally reunited with his loving wife and daughters. Morgan knows that their happiness is fleeting, as the worst is yet to come. Though for years Morgan has been diligently preparing for emergency situations, many of his neighbors are completely unready for life in this strange new world—and they’re starting to get restless. A. American has been involved in prepping and survival communities since the early 1990s. An avid outdoorsman, he has a spent considerable time learning edible and medicinal plants and their uses as well as primitive survival skills. He currently resides in North Carolina on the edge of the Pisgah National Forest with his wife of more than twenty years and his three daughters. 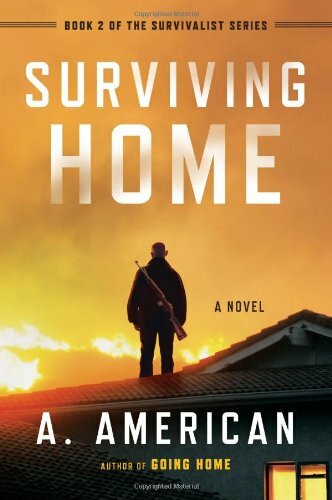 He is the author of Going Home, Surviving Home and Escaping Home.